It’s almost Captain Marvel movie time and I’m so excited! I’ve been mildly obsessed with the Captain Marvel comics recently and in anticipation of the movie release I thought I might share my excitement with all of you! There are a couple of different Captain Marvel series that we have available here at the Free Library, plus a ton of Carol Danvers appearances in other storylines. Here are some great places to start! 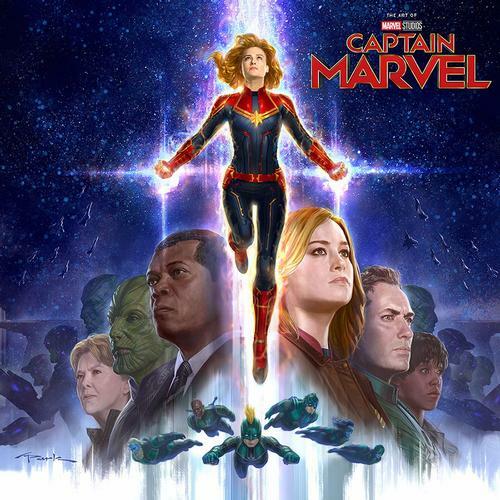 Follow another adventure in the Marvel Cinematic Universe leading up to the highly anticipated Captain Marvel film debut! These titantic tales set the stage for the Marvel Universe's mightiest hero! Meet Carol Danvers, NASA's youngest head of security: when an encounter with the Kree soldier Mar-Vell gives her amazing powers, she begins a costumed career as... Ms. Marvel! Determined to prove herself the best of the best in a world full of fearsome foes, Carol soon takes on the mantle of Captain Marvel and the responsibility of protecting the entire planet! But what happens when she comes face-to-face with Mar-Vell...who died years before? Look back at Carol Danvers' early days, and learn what shaped the woman behind the mask! When former U.S. Air Force pilot Carol Danvers was caught in the explosion of an alien device, she was transformed into one of the world's most powerful super-beings. Now, she's an Avenger and Earth's Mightiest Hero. But before all that, Carol Danvers was just a girl from New England. This is her story. Face front, true believers! The Captain has made her return and oh, how mighty it is. It's a bold new frontier for Carol Danvers as she soars to new heights in her greatest mission yet—leader of the all-new Alpha Flight space program. Yup, Alpha Flight. As earth's first line of defense, Carol and her team aim to protect the planet from extraterrestrial threats. But can Carol be a soldier and a diplomat? Especially when an unknown enemy emerges that Carol can't quite punch. Carol Danvers has a new codename and is determined to prove herself the best of the best! She's forging a new future for herself as Captain Marvel, but finds that she still can't walk away from a challenge from her past! It's a firefight in the sky as the Banshee Squadron debut... but who are the Prowlers, and where has Carol seen them before? Witness her in blazing battlefield action that just may change the course of history! Then, the Avengers' new Captain Marvel meets their old one—Monica Rambeau! But what's Monica's problem? Can they resolve it before a threat from the ocean depths attacks? Behold the mightiest, fightiest super hero there is! Captain Marvel returns to her helm as Alpha Flight commander with the world cheering her on. She's the biggest hero in the world, but has Captain Marvel become someone Carol Danvers no longer recognizes? New York Times bestselling author Margaret Stohl (Beautiful Creatures, Black Widow: Forever Red) makes her comics series debut with a blockbuster Marvel story decades in the making! Want even more Carol Danvers? 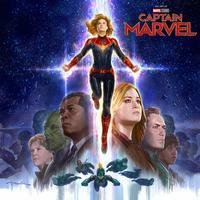 Click here to find more Captain Marvel titles! Captain Marvel soars off the comics page and into theaters March 8! Add a Comment to Catching Up with Captain Marvel!